Magic Valley suggests an alternative civilization grown from dreams and imagination. Can other invented realities exist as an endless reflections of our present image? Can we discover ourselves and grasp our essence in a parallel reality to reach a deeper understanding and rebuilding of our existence? Exploring the perception of reality and myriad possible variations of its construction, Magic Valley presents a unique vision of humanity, destabilizing audience expectations through a hyper-sensitive, delicate relationship between movement and sound. MAYA M. CARROLL choreographer, dancer and teacher, born in Haifa, Israel, currently living in Berlin. 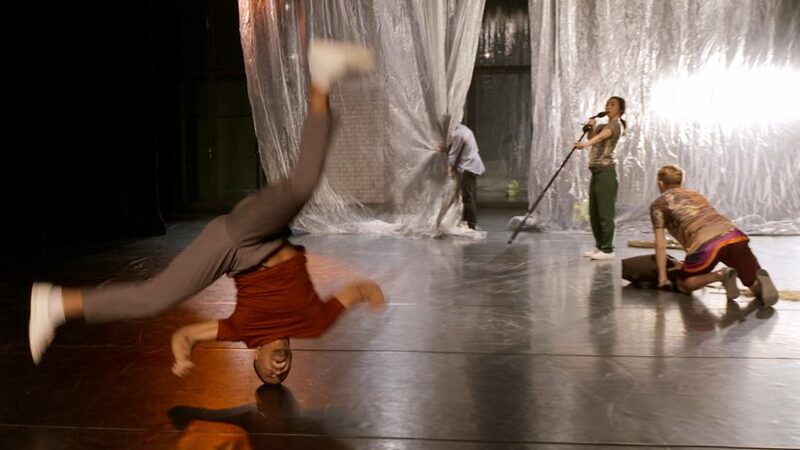 Maya danced at the Batsheva Ensemble Dance Company in Israel (2000-2003). 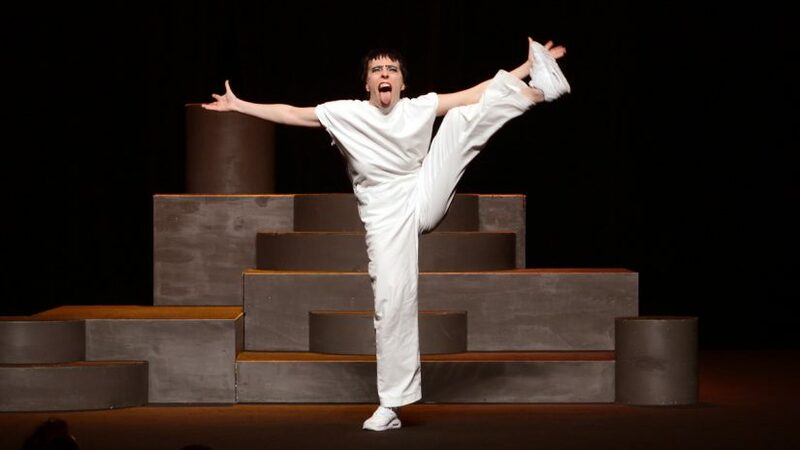 Since 2003 Lara Barsaq, Sasha Waltz and Arkadi Zaides, and with her own work. Magic Valley is her tenth collaboration with composer / musician Roy Carroll. SANDRA LOLAX born in Vaasa, Finland. Studied at the Kuula institute in Vaasa and Balettakademien in Stockholm. Today she is working freelance as an artist. 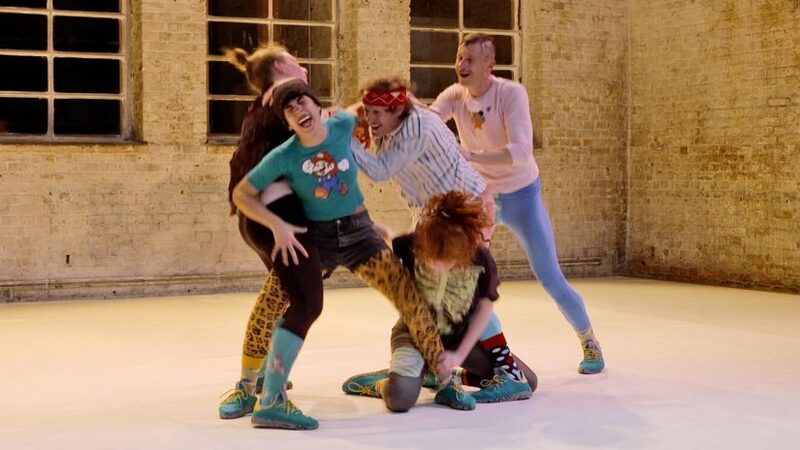 Sandra has worked as a dancer with choreographers such as Carl Knif, Mia Malviniemi, Stina Nyberg, Rosalind Goldberg, Marcela Donato, Deborah Hay and Anne Mareike Hess. 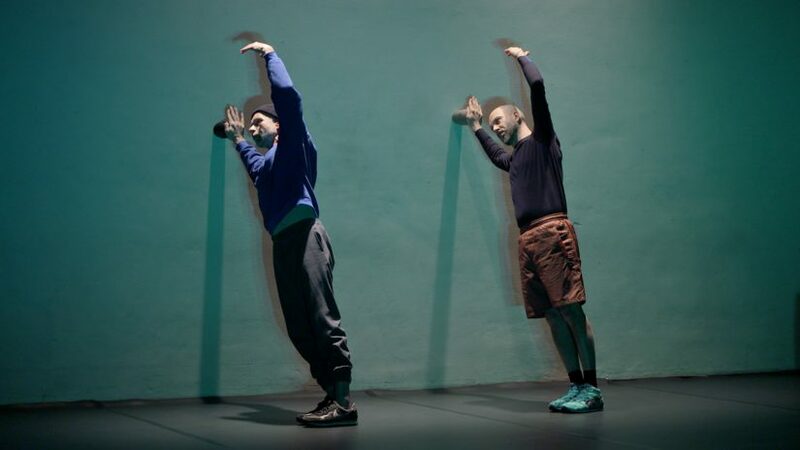 Together with Stina Nyberg and Rosalind Goldberg, Sandra is an initiator of mass production, a project about finding new methods of creating dance and choreography. ROY CARROLL composer / performer, born in Dublin currently living in Berlin. He holds an M-Phil in electronic music from Trinity College Dublin. Roy provokes kinetic / acoustic interactions between loudspeakers, salvaged materials and a self-designed digital sampler. He has collaborated extensively with choreographer, and is currently working on commissions for Icebreaker, classical guitarist Ben Dwyer, the Dublin Guitar Quartet, and Prey Woodwind Trio. He has received numerous awards and grants including Composer’s Bursaries, Project Awards and Commissions from The Arts Council of Ireland. SARAH MARGUIER studied costume and art at the Arts Arts of Paris for four years. Through an exchange program she studied at The School Art Institute of Chicago. Her work focuses on the concept of reused materials, the traces and souvenirs, and the creative freedom that is found in organic forms and the life around them. Worked as a costume designer for Redmoon Theater. Created her own piece Dead Family, which is performed at the Quay Branly museum in Paris. Magic Valley suggests an alternate civilization grown from dreams and imagination. Can other invented realities exist as endless reflections of our present image? Can we discover ourselves and grasp our essence in a parallel reality to reach a deeper understanding and rebuilding of our existence? 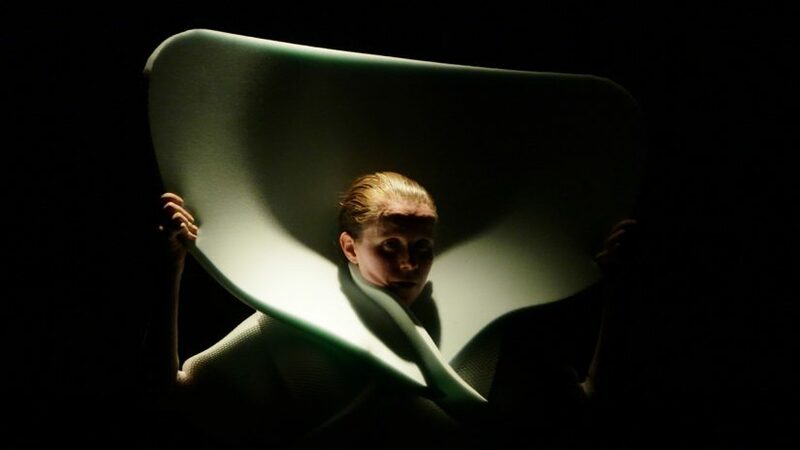 Exploring the perception of reality and the myriad possible variations of its construction, Magic Valley presents a unique vision of humanity, destabilising audience expectations through a hyper-sensitive, delicate relationship between movement and sound. MAYA M. CARROLL choreographer, dancer and teacher, born in Haifa, Israel, currently living in Berlin. 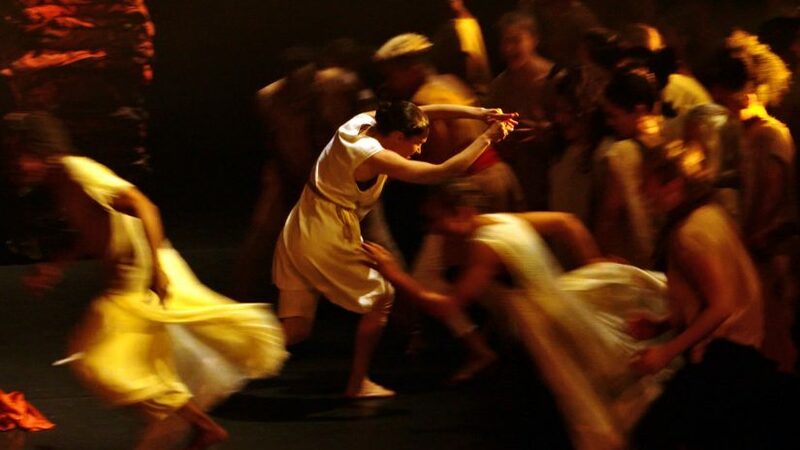 Maya danced in Batsheva-Ensemble Dance Company in Israel (2000-2003). 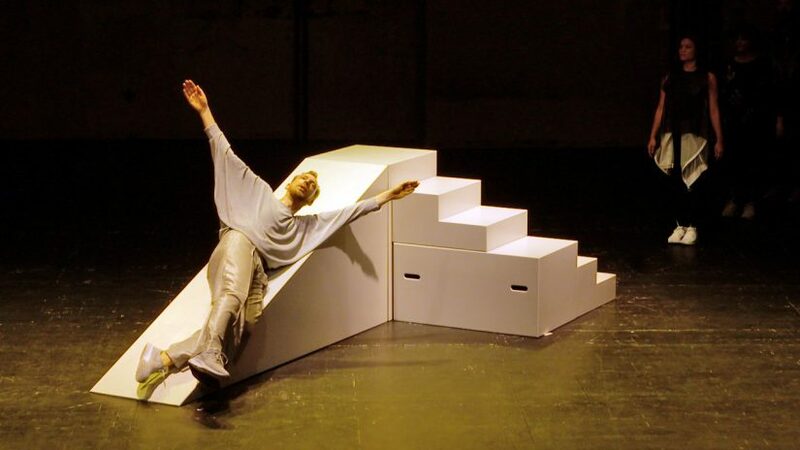 Since 2003 Maya has been active throughout Europe in the projects of others such as Lara Barsaq, Sasha Waltz and Arkadi Zaides, and with her own work. Magic Valley is her tenth collaboration with composer / musician Roy Carroll. SANDRA LOLAX born in Vaasa, Finland. Studied at Kuula-institute in Vaasa and Balettakademien in Stockholm. Today she is working freelance as an artist throughout Europe. Sandra has worked as a dancer with choreographers such as Carl Knif, Mia Malviniemi, Stina Nyberg, Rosalind Goldberg, Marcela Donato, Deborah Hay and Anne Mareike Hess. 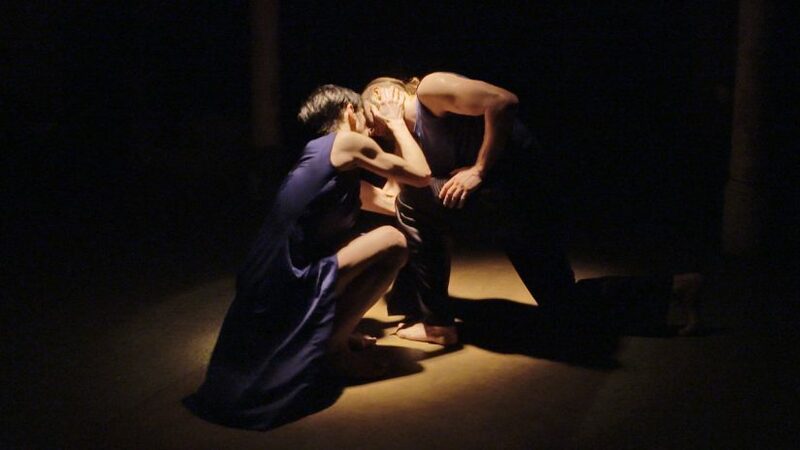 Together with Stina Nyberg and Rosalind Goldberg, Sandra is an initiator of Weapons of Mass Production, a project about finding new methods of creating dance and choreography. ROY CARROLL composer / performer, born in Dublin currently living in Berlin. He holds an M-Phil in electronic music from Trinity College Dublin. Roy provokes kinetic / acoustic interactions between loudspeakers, salvaged materials and a self-designed digital sampler. He has collaborated extensively with choreographer Maya Lipsker, and is currently working on commissions for Icebreaker, classical guitarist Ben Dwyer, the Dublin Guitar Quartet, and Prey Woodwind Trio. He has received numerous awards and grants including Composer’s Bursaries, Project Awards and Commissions from The Arts Council of Ireland. SARAH MARGUIER studied costume and art at Les Arts décos of Paris for four years. Through an exchange program she studied at The School Art Institute of Chicago. Her work focuses on the concept of reused materials, the traces and souvenirs left by objects, and the creative freedom that is found in organic forms and the life around them. Worked as a costume designer for Redmoon Theater. Created her own piece Dead Family, which performed at the Quay Branly museum in Paris. Eine Produktion von Maya M. Carroll in Koproduktion mit LOFFT Leipzig. Gefördert durch die Kulturstiftung des Freistaates Sachsen und die Stadt Leipzig, Kulturamt.